On the GO 118 highway, which links Brasília to Alto Paraíso de Goiás, the landscape gives evidence of the advance of the agribusiness towards the Cerrado, with soybean fields reaching the horizon line. The region, one of the last agricultural frontiers of Goiás, houses one of the most important vegetation of the biome, Chapada dos Veadeiros, and received the title of Natural Heritage of Humanity in 2001. On the eve of its 56th birthday, the national park, created to protect the Chapada dos Veadeiros, reached a deadlock over the issue of enlarging its area, which could ensure the survival of almost 50 species threatened with extinction and preserve the Cerrado vegetation, which so far has not been under any protection, like the dry forests. 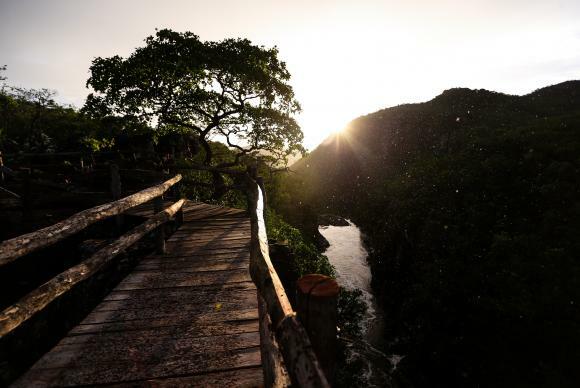 Created in 1961 with 625,000 hectares, the Chapada dos Veadeiros National Park suffered successive reductions in size until it reached the current 65,000 hectares, which is about 10% of the original area. In 2001, the expansion to 240,000 hectares was signed by former President Fernando Henrique Cardoso, but it was overturned by the Federal Supreme Court (STF) for faults in the process and for not having held public hearings, provided for in the National System of Units of Conservation (SNUC), which came into force in 2000. 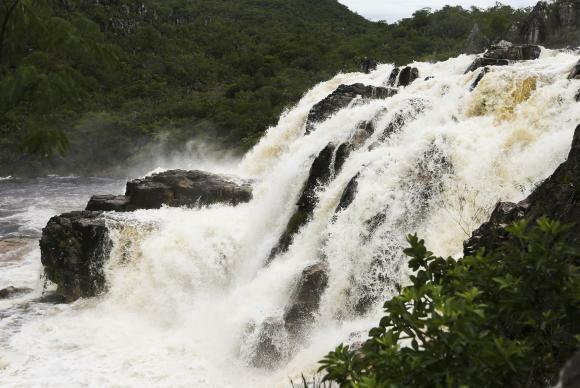 Now, there is a new opportunity to review the reduction of the preserved area, but they reached a deadlock with the government of Goiás, which needs to approve the expansion of the unit by the federal government. Professor and researcher of the University of Brasília (UnB) Reuber Brandão consider the park's expansion a "civilizing choice". "The Cerrado is rapidly losing its vegetation cover. Protecting these new areas at the Chapada [dos Veadeiros] and integrating them to the park will help shape the future of this biome. We have now to move and preserve this last part of Central Brazil Cerrado," he reports. For Fernando Tatagiba, head of the park and environmental analyst of the Chico Mendes Institute for Biodiversity Conservation (ICMBio), "the preservation of an area of extreme relevance for the preservation of biodiversity is at stake. The protection of an ecosystem that is currently not protected by the current limits of the park is at stake, and it is also at stake the establishment of park extension that is suitable for the conservation of endangered species of fauna and flora." 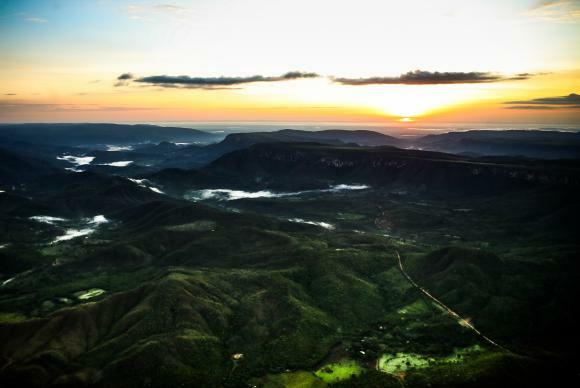 After a process that took more than five years, including examination, consultation, hearings, and political negotiation, the Chico Mendes Institute for Biodiversity Conservation—responsible for the management of federal units of conservation— outlined a proposal that increases the Chapada dos Veadeiros Park from 65,000 hectares to 222,000 hectares, in contiguous area, promoting the implantation of ecological corridors and the maintenance of the habitat of large mammals, like the Brazilian tapir and jaguar, which need large extensions. At the beginning of November, the proposal was submitted to representatives from the federal government, from Goiás, and from the municipalities of Alto Paraiso, and from entities related to the agribusiness and civil society. The text of the decree to expand the area is ready and at the office of the President's Chief of Staff to be signed by President Michel Temer. 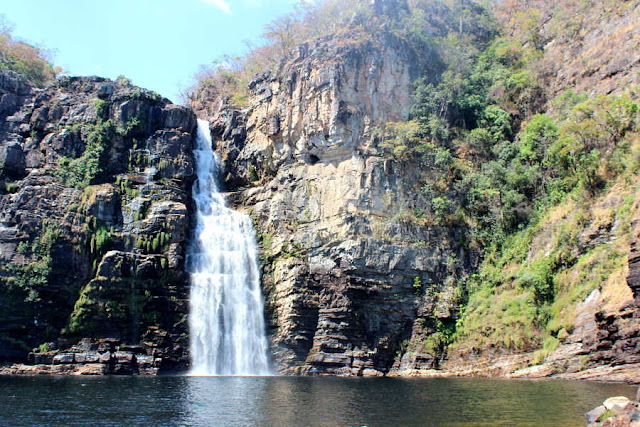 However, on November 29, the Secretary for Environment, Water Resources, Infrastructure, Cities and Metropolitan Affairs of Goiás (SECIMA) released a counter-offer made by the state government excluding from the expansion of the Chapada dos Veadeiros National Park all lands that have not been regularized yet, that is, lands with no title. Without these areas, only 90,000 hectares could be attached to the park and the lands would not be contiguous; there would be holes in the conservation unit. A representative from the government, the executive secretary of the Goiás State Council for the Environment, Rogério Rocha, admits that the counter-offer makes the park's expansion "look like a sieve" because of vacant land spaces (with no title). "It's not something nice to see, but there's a reason," he says. Their main argument is that the expropriation of the areas with no title will harm the families, who live in the lands that will be included in the park. With no title, the squatters have no right for land compensation, only the compensation for improvements made by them, like the headquarters of farms, pens, and other structures. "In fact, we agree a 100% with the original proposal made by ICMBio and the Ministry of Environment. The point is that we will need the different period of times to make it happen. We propose to immediately expand 90,000 hectares and the other 68,000 hectares after the lands are regularized," says Rocha. According to Rocha, there are about 500 properties in the area of the park's expansion, 230 of them have no title, and most of them are small producers. Environmentalists, however, point out that the state's counter-offer for the park's enlargement serves interests of large landowners and of the mining sector. The state government has denied it. "Our proposal does not please the federal government, which wanted 100% of the expansion, and the major producers in the region, who wanted to protect their right to private property. But it [our proposal] supports the small producer. These 230 families are small, subsistence producers, who live off this land. There is no land speculation. Unlike big producers, who are lobbying for the park's expansion not to happen," noted the executive secretary. The counter-offer made by Goiás state government has also not pleased the agribusiness sector of the state. The vice president of the Environment Commission of the Federation of Agriculture and Livestock of Goiás (FAEG), Marcelo Lessa, says that the alternative only softens the losses of the producers with the new demarcation. "Our concern is exactly for the property rights of the land owners who are live in the area of expansion. The federation has never opposed the expansion, but there has to be the legal certainty." With a degree in biology, the representative from FAEG says the debate over the expansion of the Chapada dos Veadeiros's protected area is simplistic and takes the farmer as a villain. "This polarization between rural producers and environmentalists has to stop. We have never been against this project, but when we talk about the park's expansion, the debate is very polarized. They have already said that the expansion would affect only four families, which is an absurd. There are, in fact, 516." According to Rogério Rocha, from the Goiás state government, they expect to spend 7 to 8 months to regularize the lands in the area and, after that, they will give the consent for the federal government to carry out the original project to expand the unit of conservation to the 222,000 hectares initially proposed. "I am not talking about 20 or 30 years. I'm talking about 7 months, it's a very short period. The expansion to 90,000 hectares has been authorized, and the other 68,000 [hectares] in 7 to 8 months. The company that will do the georeferencing will be hired by auction in December. In January, it will be already working. In 40 days, it finishes the examinations. Then we would have until July to submit the whole bureaucratic process to the state prosecutor's office for the title deeds," he reported. "While we discuss this deadline, some areas are being deforested. While the park does not exist, there is a legal authorization for deforestation. Any deadline is too long because it leaves the vegetation fragile," a representative from the federal government told Agência Brasil. The coalition of environmental organizations that supports the immediate expansion of the park in its full extent also does not agree with the postponement and will strengthen the mobilization for ICMBio's original proposal. "The Pro-Unit of Conservation Coalition will continue to provide all available knowledge to Goiás [government] to make a decision that takes into account biodiversity conservation, not just land-use criteria.We need limits that make sense from an ecological and management point of view," says Mariana Napolitano, head of the Science Program at WWF-Brazil. The agribusiness sector also intends to mobilize and they promise to bring pressure to the Ministry of Environment through Brazil's Confederation of Agriculture and Livestock (CNA) so that they demarcate a more flexible area for the park. According to the head of the Chapada dos Veadeiros National Park, Fernando Tatagiba, the long wait for restoring the area of the park may pose the risk of losing the title of Natural Heritage of Humanity granted by the United Nations Educational, Scientific, and Cultural Organization (UNESCO), and may cause an international embarrassment.